The National Franchised Dealers Association (NFDA) Spring Ball 2018 took place over the weekend at The Grove Resort in Hertfordshire. The night was compered by TV presenter Mark Durden-Smith, while Kyran Bracken, rugby World Cup winner and Dancing on Ice champion, was the guest speaker. Paul Van der Burgh, President and Managing Director of Toyota GB, was awarded the manufacturer award following the outstanding performance in the latest NFDA Dealer Attitude Survey. The industry partner award went to TLT Solicitors LLP in light of the support offered over the past few years and, particularly, ahead of the forthcoming new General Data Protection Regulations. 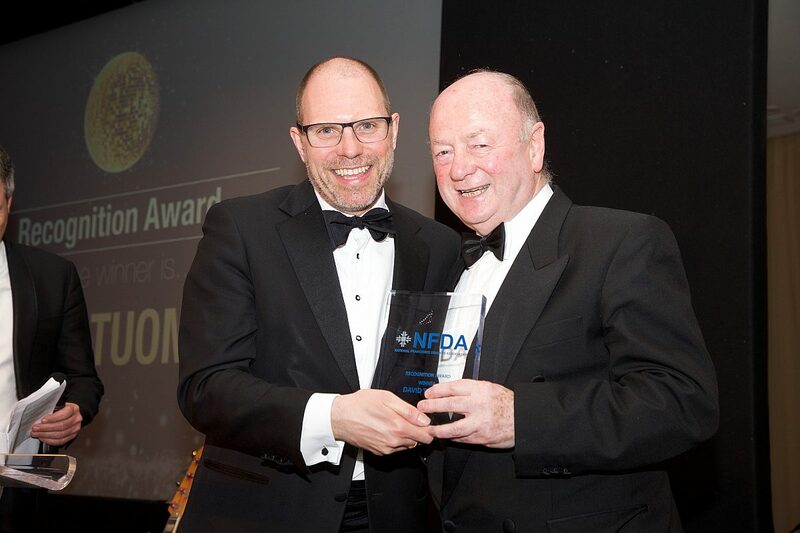 Finally, David Tuomey, Windsors of Wallasey Ltd Group Managing Director and Chairman of the NFDA Northern Regional Dealer Forum, won the prestigious recognition award. Sue Robinson, Director of the NFDA, said, “Congratulations to all the winners on the well-deserved awards and thanks to all those who attended the NFDA Spring Ball and participated to raise £ 1,785 for BEN the automotive charity.